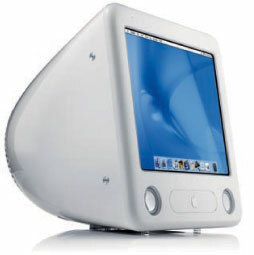 The base configuration had an 800 MHz processor, a 40 GB hard drive, 128 MB of RAM, a 32x CD-ROM drive, and a Maximum OS of 10.4.11. The mid-level configuration had a 1.0 GHz processor, a 60 GB hard drive, 128 MB of RAM, and a 32x/32x/10x/8x CD-RW/DVD-ROM drive. The high-end configuration had a 1.0 GHz processor, an 80 GB hard drive, 256 MB of RAM, and a 32x/16x/8x/8x/4x/2x CD-RW/DVD-RW drive. In October 2003, the middle-end configuration was discontinued, and the price of the high-end configuration was reduced to $1,099.